Every institution has its start in modest initiatives but what makes it great is the passion of the people behind it. Carrying the legacy forward with an undaunted commitment to its vision, the journey of Corporation Bank truly epitomizes this. 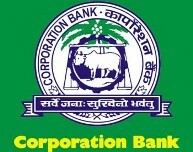 Started about 109 years ago in 1906, with an initial capital of just Rs.5000/-, Corporation Bank has recorded Rs. 3,46,800 Crore mark in business and even far more, with over 10,047 service outlets across the nation, served by committed and dedicated 18,000 plus Corp Bankers.